The newest release apps for iPad and iPhone plus all the new games to hit are now available in the App Store, several can be obtained free and are bound to transform your device. Shikaku Madness is a new Japanese Logic Puzzle designed especially for iPhone and iPad and is perfect for puzzle maniacs. The game is both challenging and fun and offers 120 unique puzzles to solve and are the best way to give your brain a workout. It is available for free in the App Store. 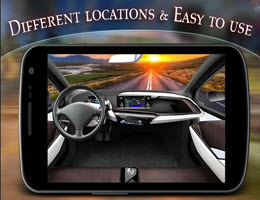 Driving Advance Car – driving zone Dark released on the 25th of March 2016, enables users to explore new possibilities of their iPhone 6S, which works best with pressure sensitive screens. The game offers a ride in super Cars and provides players to enjoy a super challenge. The new accelerometer technology is set to balance the cars and realistic physics is your shocks recoil. The game is set to offer hours of play and the goal is to compete to be the fastest car driver on robust worldwide scoreboards. Amazing Blocks on the City is available free and the current version 3.5.1 was released on the 25th of March and is promised to be an extremely addictive game. Players get to explore the new possibilities on their new iPhone 6S as it works best with the pressure sensitive screens and the game is a favourite for all users who loves arcade style classic games. The game mission is to reorder the groups of cubes so they fill rows that care then destroyed. Scores can be shared on Twitter and Facebook. Become the winning hero since the game kicks off with a group of blocks descending from the top followed by a group displayed at the top left corner of the play area for player reference. To win mobile players need to fulfil the requirements in order to proceed. If the blocks pile up and reach the top of the play area, the game ends. Charge into the exhilarating Galaxia for limitless excitement!